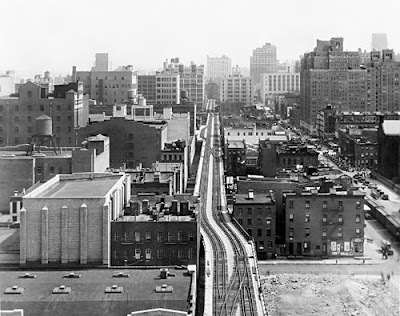 The New York High Line was built between 1929 and 1934, it is about 1.45 miles long and it expands 22 blocks from 34th street to Gansevoort Street. 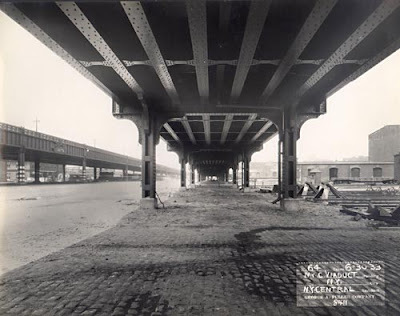 It is owned by the City of New York and it was originally built as a solution to the many accidents occurring between trains, pedestrians, horses, and other traffic in the early 20th century. 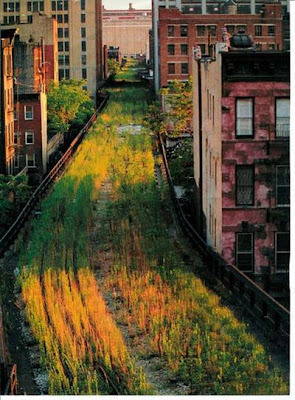 In the 1950's, however, the life of the high line came to an end. 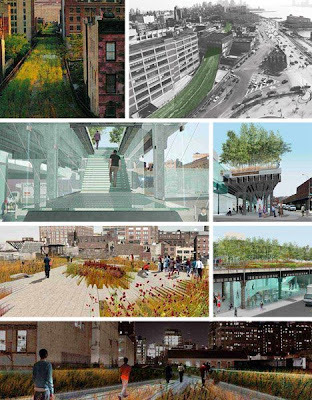 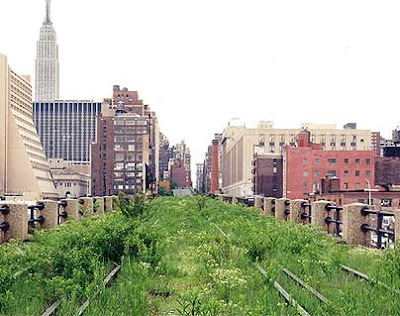 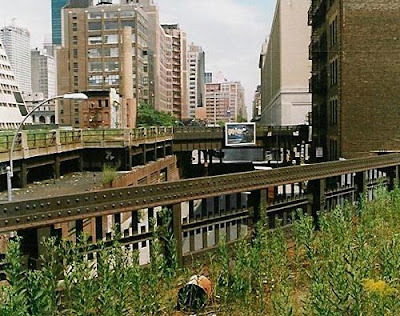 In December 2002, the City of New York filed legal papers with the Surface Transportation Board (STB) petitioning to start "rail-banking", the federal process that would turn the High Line into a public space. 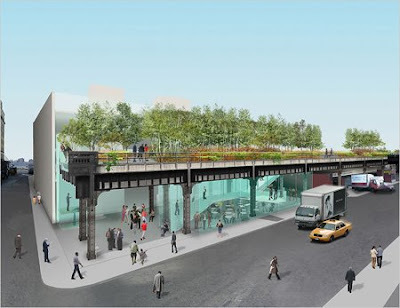 After much debate, a design competition, and $15.75 million dollars in capital funds the High Line is due to open this summer. 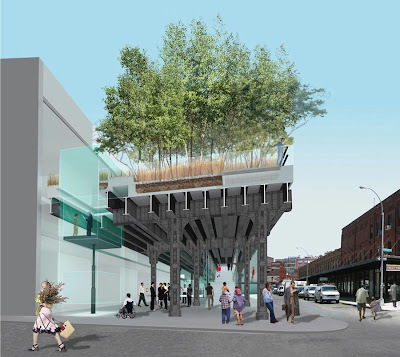 The team of Field Operations (landscape architecture) and Diller Scofidio + Renfro (architecture)is in charge of the design and engineering of the High Line.